UPDATE: She’s not just posing in it, she’s out and about wearing it in actual England!!! Here she is somewhere in actual England, after taking her cat and dog to the vet. 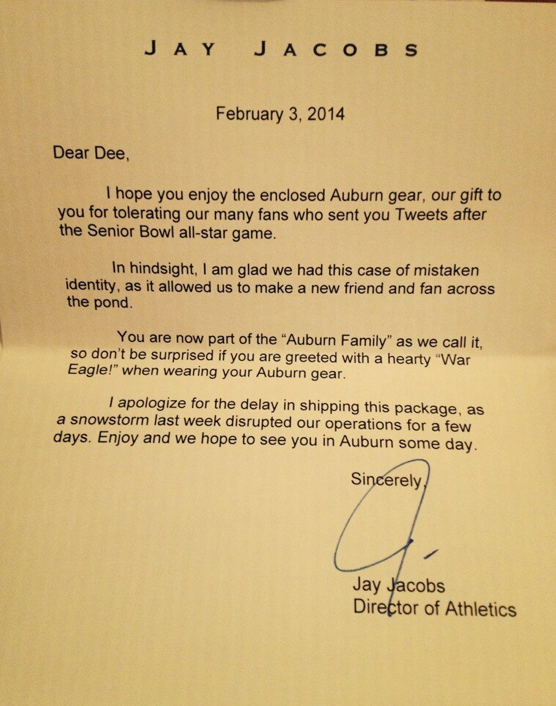 Auburn Athletic Director Jay Jacobs is a man of his word. 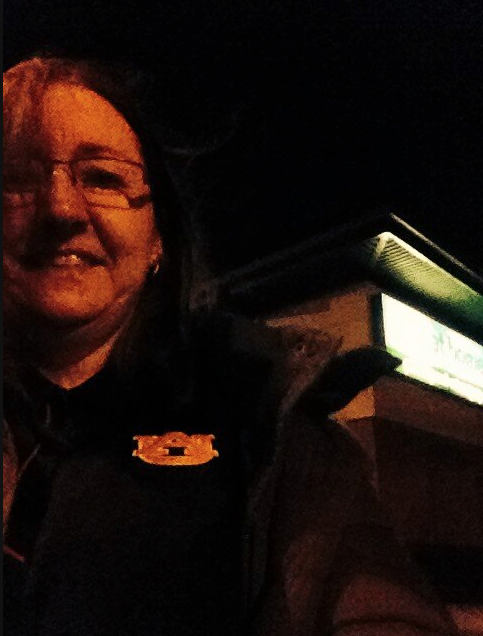 He said he’d send Dee Ford some Auburn stuff, and he did. 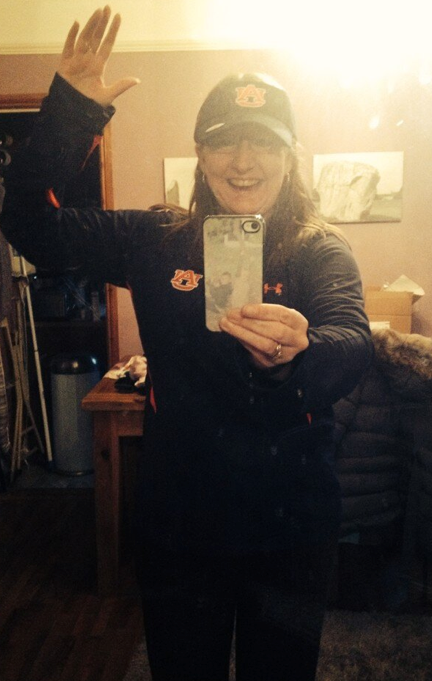 Not that Dee Ford, THE Dee Ford: British Dee Ford (TM), the Internet’s most popular Auburn fan, whose baptism by tweet into the Auburn Family—she’s gained more than 1,300 Twitter followers since the fun began two weeks ago—has dee-lighted the entire sports world. 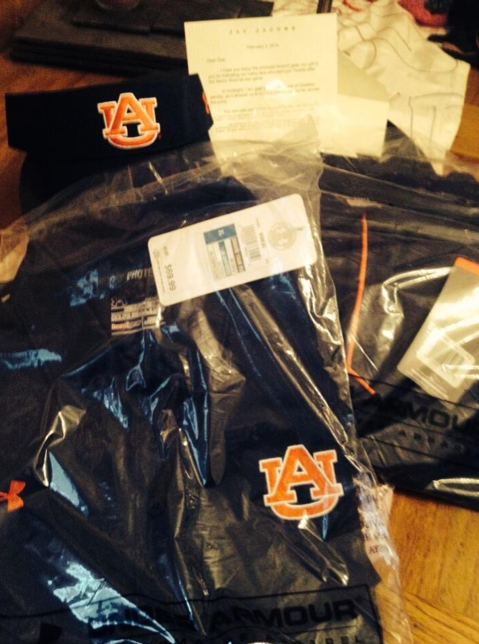 Jacobs sent the college football recruiting expert an Auburn visor and two Auburn shirts (one short-sleeved, one long) as an apology after his tweets joined the chorus of congratulations misdelivered to British Dee Ford (oh, what a glorious, life-changing difference an underscore can make!) after former American Dee Ford’s superlative performance in the Senior Bowl. “I hope you enjoy the enclosed Auburn gear, our gift to you for tolerating our many fans who sent you Tweets after the Senior Bowl all-star,” Jacobs wrote in the letter enclosed with the swag. “In hindsight, I am glad we had this case of mistaken identity, as it allowed us to make a new friend and fan across the pond. 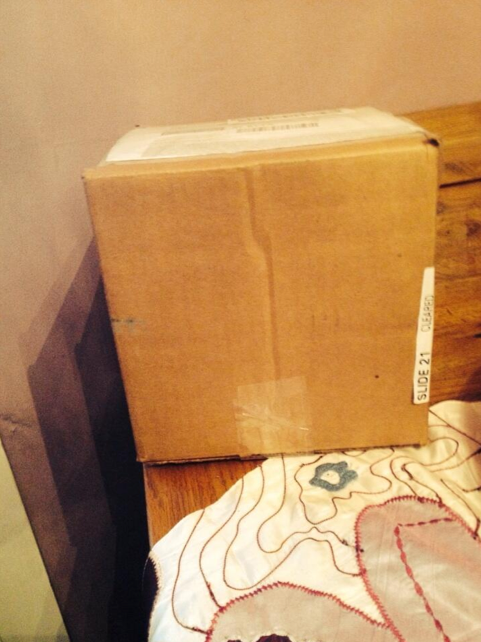 Jacobs said the package would have found it’s way to England sooner save for Snowmageddon. Related: AluminiUm: Listen to the It’s Pronounced Jordan interview with British Dee Ford on The Drive. More British Dee Ford: Alter Dee-go: Case of mistaken Twitter identity leads British woman Dee Ford on journey of Auburn discovery / Auburn recruit British Dee Ford live-tweets national signing day, gets interviewed on American television. Really cool story. Keep them coming! Big fan of TWER.